Interested in the Christmas story and what it meant to the earliest Christians? Download The First Christmas: The Story of Jesus’ Birth in History and Tradition and start receiving Bible History Daily — both absolutely free! In this free eBook, expert Bible scholars and archaeologists offer glimpses of the first Christmas as recounted and understood by those who first told the beloved story. Discover what Bible experts have to say about the Gospel stories of Jesus’ birth, the history of Christmas, the three wise men, the adoration of the magi, the star of Bethlehem, the date of Jesus’ birth, shepherds and angels at the nativity, the location of Jesus’ birth, the magi in art and literature and early Christian Christmas traditions. The time-honored traditions of Christmas are dear to the hearts of Christians today. The story of the first Christmas recaptures the imagination as it is retold year after year in Bible readings, carols, Christmas pageants, live manger scenes and crèche displays, to name a few. Perhaps in the midst of all this, we might wonder what the story of Jesus’ birth meant to the earliest Christians. How did their story differ from the one we tell today, and what significance did they give to each member of the cast of characters? Perhaps the most mystifying part of the magi’s journey is the star that guides them. Scholars and astronomers have tried for some time to identify a celestial event that corresponds with the magi’s guiding star, in part because it would also pinpoint the date of Jesus’ birth. 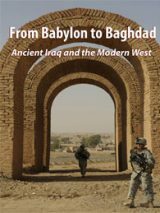 Where modern science fails to explain the mysterious star, Babylonian astronomy gives better clues in “The Magi and the Star: Babylonian Astronomy Dates Jesus’ Birth” by Simo Parpola. Author Dale C. Allison, Jr. does not look to astronomy for an explanation of the magi’s star, though he does look heavenward. In “What Was the Star that Guided the Magi,” he suggests that another sort of celestial entity was the bright light that guided the magi’s journey to pay homage to the infant Jesus. Where Was Jesus Born? O Little Town of ... Nazareth? The star, tradition tells us, led the magi to the tiny Judean town of Bethlehem. However, many scholars of the New Testament have come to the conclusion that Jesus was born in Nazareth, not Bethlehem. 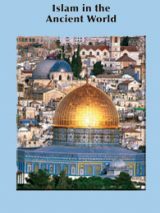 Steve Mason’s “O Little Town of … Nazareth?” explores the the passages in the Biblical text that suggest Nazareth was Jesus’ birthplace. 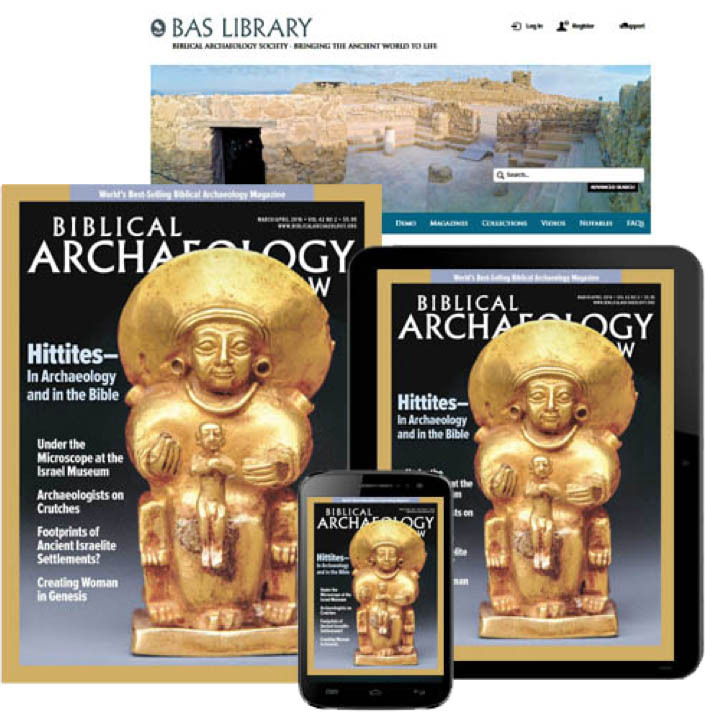 We’ll send you a link to download your copy of The First Christmas: The Story of Jesus’ Birth in History and Tradition and offer you a FREE registration to the Bible History Daily newsletter, bringing the world of the Bible and archaeology directly to your inbox. Your FREE registration to Bible History Daily introduces you to community discussions on fascinating topics like the Dead Sea Scrolls, top Biblical archaeology discoveries, ancient Israel and Easter. es interesante saber el estudio que se requiere para saber mas claramente la aparicion de dicha estrella, la bibia señala que se aparecieron angeles para anunciar el nacimiente de jesus esto suena mas importante que el hecho que tres astrologos. no magos, fueran a ver a jesus por la razon de ver una anomalía en el cielo a saber una estrella que de paso se movia y los guiaba y no en este caso angeles, pues este hecho nos muestra q no era algo divino que guiaba a estos astrologos pues mas tarde los guia a herodes quien sabe del por que viajaban y quiere matar a jesus. It mesmerizes me how stubbornly people call Magi ‘wise men’ when the original Greek uses the former term. They are not synonims, Magi were a priest class in Persian Kingdom inherited from the merge of Media in the North-West corner between the Caucasus and the Caspian Sea. Additionally, they were Medes as Israelite priests were Levites, trade inherited by blood. By the time of Jesus, the original Medes’ religion had evolved and had been systematized by Zarathustra 6 centuries ago, the god Mitra had gained a foothold in the Roman pantheon, especially in the Army. But the most important feature, covered with the false translation ‘wise men’, is that those Magi were pagan priests that had learned magic from their Babylonian colleagues and gazed the stars. I just wonder how many more things are warped with false translations. People rarely read what the gospels say about the birth of Jesus and prefer the myths of Christmas Day and the three wise men etc. The purpose of the “star” was to facilitate the murder of the Messiah. That this had anything to do with God is nonsense. If anything, it is a diabolical p,ot. Suggestions have been made that it could have been a comet, meteor, supernova or conjunction of planets.One could ask – How come any one of these bodies, remained stationary, over one house in Bethlehem? As 2 Thessalonians 2:9-12 says, Satan can use very powerful works and lying signs, and mislead and delude many into believing lies. John 8:44 describes the religious leaders of his day as being like Satan, the father of the lie……….and this no doubt was a reason that only the astrologers ‘saw’ this star. Who stated that there were three astrologers (magi), it certainly does not mention it in the Bible……….only based on assumption because there were three gifts mentioned. Matthew 2:7, 8 tells us that Herod sent the astrologers, (NOT wise men – although they may have been considered ‘wise men’ by those practicing astrology), to look for a YOUNG CHILD, not an infant………that of course, that is why Herod wanted all males up to the age of two killed. Also in this book it says: “Author Dale C. Allison, Jr. does not look to astronomy for an explanation of the magi’s star,”………….of course he couldn’t look to ASTRONOMY, because, what is being dealt with is ASTROLOGY……….because it was only the astrologers that saw the star. Donald, you are right,I do not agree with you….How could someone be a true follower of Christ and only believe some of what the bible tells us …..It would be like saying that I believe in God but not His son Jesus….only believing some or half of what is the truth….For God says that all His words in the bible are His truths…. ………however, the unfortunate thing is that it is not backed up in the Bible. One could ask! How so?…………because christmas is a man-made, pagan custom, even reputable encyclopaedias will back that up, and that’s apart from the Bible itself, which has no mention of christmas, nor does it even allude to the fact that the birth of Jesus should be celebrated……….think about it! That is probably why the birth date was not included…….yet the date of Jesus death is clearly discernible from scripture. Your Right! We ate taught by Christ Jesus to follow his examples. He kept the Passover, Days of Unleaved Bread, Pentecost, Feast of Trumpets, Day of Atonement, Feast of Tabernacles, and The Last Great day. They were given by God for ever to keep! The Ten Commandments were given forever! Lets not forget The Sabbath Day a sign that we belong to our God. Friday sunset to Saturday sunet. This time is Holy and it does not belong to man. Matthew 5:17 says of Jesus, that He came to fufill the Law, that is the Mosaic Law. Acts 15:28, 29 tells us what the older men in Jerusalem said concerning the Law. Interesting also is the book of Hebrews, here Paul explains in great detail how Jesus changed or, really did away with that Law. By the way Just, the 10 commandments, were just part of that Law that contained over 600 commands. Galatians 4:9-11 we find here that Paul said it was of no use keeping those special days that were once observed when the Jews were under the Law……Why?…….because they were no longer under the Mosaic Law. Colossians 2:13, 14 point out that the Law was virtually put ‘to death’ when Jesus was put to death. Whilst I may not agree with you, we all have that freedom of choice to decide for ourselves what we do; what we believe, etc. I believe the words penned at 2 Timothy 3:16, 17 that points out that ALL scripture is inspired of god; and at Revelation 22:18, 19 which basically points out that we cannot pick and choose as to what we accept, or do not accept from His Word. You might not agree with me but it is possible to be a Christian and not believe every word of the Bible. Be specific on what is not true in the Bible and quote the verse if you want us to take your arguments seriously. Agree…just because one doesn’t understand HOW something could happen….doesn’t mean that it didn’t. Donald,you are right, I do not agree with you..How can someone be a true follower of Christ and not believe the whole bible to be true…..It would be like me saying I believe in God and not His Son Jesus…Only believing some or half of what is the truth….God tells us that the whole bible are all Gods truths….. There was no “first christmas”………that did not rear its ugly head until hundreds of years after the death of Jesus Christ……….maybe I have missed something in God’s Word that tells us about the “celebration of christmas”………If I have, perhaps you can tell me where it is……….BUT, please do not use spurious scripture that is not part of the Bible canon. If you do have “expert” Bible scholars I think that you should present more views as to what the Bible really says, rather than what the so-called expert scholars THINK. “The Bible Historical Daily”seems to me to be a misnomer. Revrd, WHAT is well researched documentation………I certainly hope you did not mean the book………..if you did, may I suggest that you carry out some careful research of the subject of christmas. However if you were referring to Bonnie’s comments, they certainly are very good comments. Let us get our facts straight, first there was no christmas concerning the birth of Jesus. The celebration of christmas never came into being until the fourth century. also if the birth of Jesus was to be so important, as it is made out to be, (by men), one would have to agree that it would be clearly shown in the Bible, the same as Jesus’ death, which is well documented, and also how the memorial of his death was to be observed. The quote from the book says that modern science has not been able to explain the star that ONLY the astrologers (magi) saw, which guided them to Herod first, who then ordered the murder of all male children up to 2 years of age. This star certainly was not a sign from God……….the star was a sign from the archenemy of God, Satan the devil. Satan certainly did not want Jesus to fulfill his purpose on earth, he wanted to prevent the first prophecy in the Bible to become true, which is recorded at Genesis 3:15 and try as he might, God was not going to let Satan have his wish. Interesting how christmas cards show the star over Bethlehem as part of the nativity scene……….as I mentioned earlier the star led the Babylonian astrologers to Herod, in Jerusalem FIRST and then showed the astrologers where the YOUNG BOY Jesus was in Bethlehem………..he was not an infant in a manger (Matthew 3:9-12) …..note that verse 11 says he was a young child, NOT a baby. This explains why Herod ordered the death of male children up to the age of 2. This is just another Bible account that shows what christmas really is……….a pagan celebration. Excellent. I have the same understanding as yourself. As a Christian one should ALWAYS accept what the Bible says rather than what so called Bible scholars or historians have to say on a matter……….it is the Bible that is God’s word. I am at a bit of a loss………….I cannot find the word christmas in the Bible……..maybe I missed it???? I think not, the magi were astrologers and under the Mosaic Law and delving into astrology or having anything to do with it was strictly forbidden. Exodus 20:3,4 and Deuteronomy 18:10-12 are just two scriptures that point this out……..and note that the Bible says that the astrologers were guided by the star, first to King Herod (Herod the Great), who was in Jerusalem and wanted to kill Jesus………not to Jesus who was in Bethlehem Matthew 2:7-12. The Bible also clearly states that Jesus was born in Bethlehem, NOT Nazareth as some so called “scholars” would have one believe, they fall into the category of those mentioned in Revelation 22:18,19. First and second century Christians never celebrated birthdays and in the two birthdays mentioned in the Bible men lost their lives, Genesis 40:18-22; Matthew 14:6-11. Interesting too, is a comment in Encyclopedia Britannica “During the first two centuries of Christianity there was strong opposition to recognising birthdays of martyrs or, for that matter, of Jesus,” ……….it wasn’t until the 4th century that christmas was celebrated at the behest of the Catholic Church and the customs celebrated during this festival are virtually all of pagan origin. Hippolytus A Saint born about the year of 175 AD, fixed the Christmass date upon Dec. 25 based on the following. He had reached the conviction that Jesus’s life from conception to crucifixion was precisely thirty-three years and that both events occurred on Mar. 25. By calculating nine months from the annunciation or conception he arrived at Dec. 25 as the day Of Christ ‘s birth. If Jesus was conceived on March 25 and died on The Cross march 25th then he would have went full circle. Full Circle a never ending God. As well the number 25 is the number for forgiveness of sins. Jeremiah 52.31 is a Prophetic allegory of the Messiahs birth. The Chapter # 52 represents how many weeks are in a year. The fifty second week starts on the 25th day of the twelfth month, or 12.25. 12 is the number representing Governmental Perfection. Verse 31 represents: Offspring Luke 1.31 And, behold, thou shalt conceive in thy womb, and bring forth a son, and shalt call his name JESUS. Jeremiah 31 as well tells of Christmass’ coming. Jehoiachin only ruled for 3 moths and 10 days and did what was bad in God’s eyes. Numerology as you are applying it leaves a lot to be desired, because the Bible was not divided into Chapters and verses until many centuries after the last book of Revelation was completed in 98 AD. The Masoretes divided it into verses, the in the 13th century chapters were added. In 1553 Robert Estienne’s edition of the French Bible was published as the first complete Bible with the present chapter and verse divisions. Secondly numerology, as you are applying it is akin to a form of divination, which of course is incompatible with the teachings and principles contained in the Bible. Doing this is simply enough to lift your pulse a little. You’ll understand the common myhs regarding most lose weight fast diets. I assume that you are trying to say Jesus IS God??? Joshua, please read what the Bible says of God and Jesus…….Jesus is clearly God’s son, NOT God. John 1:14, 18……….particularly verse 18 which says “….no man has seen God at any time,”…..it then points out that it was Jesus who explained him……..
Jesus therefore cannot be God………..there are many scriptures and prophecies that also back up this particular point. Interesting too, is the content of John 1:1 from the ASV……”In the beginning was the Word, and the word was with God, and the Word was God,”……an oxymoron to say the least……”the Word was with God, and the Word was God”……was the Word with God,,,,,,or, was the Word God. Which of those two statements are correct? You cannot be with someone and also be that someone!!!!! The way I understand it is, God is similar to identical triplets. They each have identical powers but they each have a specialty. God the I am is the Father, Jesus the Word is the son and our Savior, the Holy Spirit is the Guide of Holy thoughts. In the beginning was Jesus, and Jesus was with God, and Jesus was God. The only miraculous birth of Jesus that interests me is his second birth. Following the action in John’s gospel, I believe Jesus was just an ordinary man ( all right, a man with a destiny) until he showed up at John the Baptist’s water baptism ‘audition’ event. John was sent to baptise with water in order that he who was to be manifest to Israel could be found. John bare witness saying he saw the Spirit who was with God and was God coming down and abiding with Jesus. This was Jesus’s second birth, his born from above event. I think our Christian theology has gotten muddled through time. I think we are denying the power of this spiritual baptism which Jesus said is necessary to see and to enter into the Kingdom of God. Jesus was forever changed by this momentous happening. He was raised from the dead. The dead was everyone not born of God’s Spirit, even John the Baptist. So you see the resurrection occurred before the death of the body on the cross or however. Jesus claimed to be the prophet promised by Moses in Deuteronomy 18: 15-18. Thus he came speaking God’s words in God’s name. No wonder he is thought to have been claiming to be God. Read more of this way of understanding Jesus in Will To Kingdom, a fictional story of events leading to the Second Coming. Jesus was never “just an ordinary man” as you put it; He was “the only begotten son God,” in other words he was unique and the only direct creation of God John 1:14. You would/should also know that God created Adam and Eve perfect…….they lost perfection by their disobedience………..in accordance with the Mosaic Law a sacrifice of equal value was required to remove the effects of that original sin, 1 Corinthians 15:22. Therefore Jesus had to be perfect which meant that the sin atoning sacrifice of Jesus was acceptable in God’s eyes, so that all mankind has the opportunity of ever-lasting life………..in the not, too distant future. i agree with Bonnie. i was just reading similar. If the contents of a cup is contaminated, it doesn’t become clean and pure because it’s poured into a new cup! Jesus was born a Jew. Jews did not celebrate birthdays. Neither did the early Christians. If Jesus’ birth was meant to be ‘celebrated,’ why is there NO mention of it in Scripture? The apostle, John, penned the Book of Revelation in 98 C.E., 65 years after Jesus’ death! Wouldn’t a reasoning person expect to find some mention of a birthday celebration for him somewhere in the Bible? Instead, Jesus INSTRUCTED his followers to celebrate his DEATH… and this IS recorded! This is in keeping with what Solomon said at Ecclesiastes 7:1: “A good name is better than good oil, and the day of death is better than the day of birth.” Why? Because by the time a man dies, he has made a ‘name’ for himself. He has proven, by the way he lived, what he truly is. Jesus did not provide the ransom sacrifice until he died. It was his life course, not the day of his birth that he focused on when he said… at the age of 33: “For this I have been born, and for this I have come into the world, that I should bear witness to the truth. Everyone who is on the side of the truth listens to my voice.” Pilate said to him: “What is truth?” John 18:37, 38. Yes, What is TRUTH? Upright men tried to stem the tide, but in spite of all their efforts, the APOSTASY went on till the Church, with the exception of a small remnant, was submerged in Pagan superstition. That Christmas was originally a pagan festival is beyond all doubt! The time of the year, and the ceremonies with which it is still celebrated, prove its origin. 1) Candles lighted on Christmas eve, and used throughout the festival season, were lighted by Pagans on the eve of the festival of the Babylonian god, to do honor to him. 2) The Christmas tree was equally common in Pagan Rome and Pagan Egypt. In Egypt the tree was a palm; in Rome it was the fir. The tree denoted the Pagan Messiah. 4) The Yule log was considered the dead stock of Nimrod (or Tammuz, depending on the nation involved), deified as the sun god, but cut down by his enemies; the Christmas tree is Nimrod revived – the slain god come to life again. The Yule occultic colors are red and green! No one knows the birth date of Jesus. It isn’t written in the gospels. In fact not much is written about Jesus except possibly his sayings and parables. The gospels are not biography. The only date could possibly be the death of Jesus just before the first night of Passover. He had to be buried in a hurry before sunset, but there’s no date or year. The 25th of December is arbitrary, being the Roman festival of Sol Invictus, the winter solstice. It really wasn’t important in ancient times. We have no dates of the emperors’ births, so why Jesus’? It’s a western idea. isnt it possible that when dec. 25 was chosen to celebrate jesus’ birth is god’s will in itself.? because as the bible readers always says that when you read and study the bible you are being guided by the holy spirit. right..? Thanks! Hi from Paris and Happy New Year. My questions are is it good or bad to for us to choose a day out of twelve month and celebrate our savior’s birth ? 2 is it right or wrong to celebrate our Messiah in the day which our God created the same day which pagen r celebrating their god too? Everything important that happened in the Bible, happened on a Jewish feast day. Yeshua(Jesus) was born on the Jewish Feast day, The Feast of Tabernacles(Sukkot). Yeshua lived out the Jewish feasts in his lifetime! Read what Feast Of Tabernacle is all about and compare Yeshuas name as mentioned in the book Of Matthew 1:23 – EMMANUEL(GOD WITH US). December 25 was set up by the catholic church to accommadate the pagens to worship their pagen god Mytheia, and for the catholics to do it together. Christmas is a medium of showing the love of christ, It is also a time of giving. Sorry to disappoint you Irene……….christmas is not worshipping Jesus Christ………it is a pagan festival and you are worshipping the sun………not only the Bible, but, any reputable encyclopaedia will tell you that. Christmas celebration is neither a sin nor men’s imagination, but is a medium of thanks giving and for us to remember our saviour who died for us to be save and draw us closer to our heavenly father. ……….Jesus himself said that Christians should observe his death…….please show me from the Bible where it says that we should celebrate his birth???? R.E.Brown, The Birth of the Messiah, 1977 is a classic one;what’s new? We cannot remember the death of someone without remembering his birth! if we accept Jesus was crucified because of our sin, we must accept also his birth.the very important thing his born! Jesus didn’t for celebration. He came that we might be saved from our sin. The only way we can celebrate CHRIST is to live the life of CHRIST. ( Mathew 1vs21; Romans 13 vs 11-13). Other things are just human imagination. People has forsaken Christ command to “preach the gospel to every creature and are following after traditions of men. thank you! , my uncle Romy and Auntie Georgie Solina are astrologers who also mentioned about charting Jesus’ birthdate approximates it around august .. now am excited in receiving my free ebook .. Nowhere in The Bible does it say there were three wise men. Men’s traditions, why do people cling to them over what God commands? Jesus was born on an Appointed Time, one of the Feasts of the LORD. Christ was never a part of Christmas until men’s traditions forced Him there. Celebrate The LORD’s Holy Days which completely revolve around The Messiah in the Old Testament, New Testament and when Jesus returns. What a glorious time that will be! Yeah… Except he wasn’t born during the pagan festival of Christmas. Not even in the same month. I’m not certain if its touched in this book, but this title slams the validity of this book for me.